Last autumn there was a violent storm and it brought down an oak tree in some woodland behind vines not far from his house and about two kilometres from our house. He noticed some bees and found that the tree was hollow but that the nest was now exposed. The centre of the tree was filled with honey comb. As time passed he noticed that the honey comb was disappearing. He suspects that the comb was being pulled off and eaten by animals such as badgers. 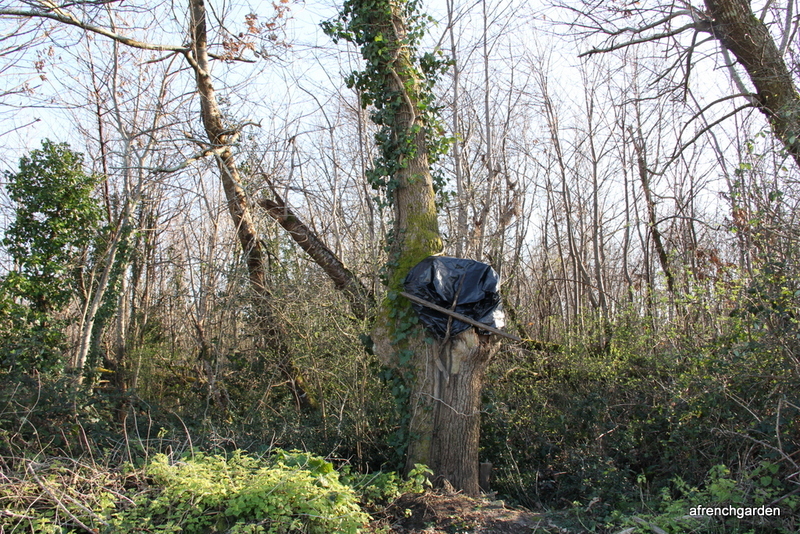 Winter was approaching and he took pity on the nest and covered it with a plastic tarpaulin, making sure the bees had a rear entrance. His strategy obviously worked as the hive has come through the winter despite loosing some of its stocks of honey to predators. I could see the regular sheets of comb in the hollowed out tree trunk. 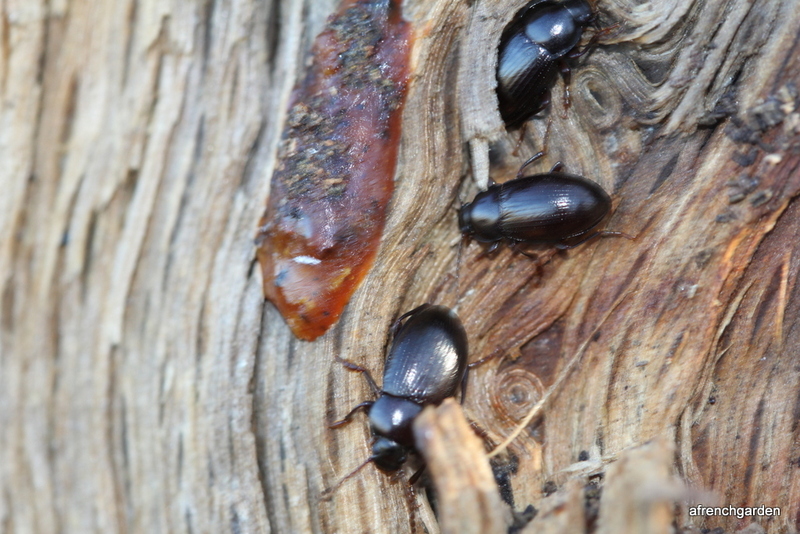 There were also some little beetles but I think they were more interested in the decaying wood. A close-up of the beetles for anyone who knows about such things. The bees won’t have to go far when they need resin. An advantage to tree-dwelling bees. It was 6 o’clock in the evening and getting cooler after a warm day. There was not much activity, so I decided to go in closer to see if I could get a shot of the bees inside. I was delighted to see some bees on the edge of the comb. Manuel was delighted that I was delighted but not satisfied with the number of bees I was seeing so he banged the tree with a large stick. That made a difference. I had no doubt that this was a thriving colony with plenty of bees in between the sheets of honeycomb. Just another couple of whacks with the stick and clicks of the camera and I retired not wanting to abuse their patience any longer. They gave the impression of particularly laid back good-natured bees and I’m glad Manuel found them and had the ingenuity to protect their hive through the winter. Categories: Bees | Tags: bees, Charente Maritime, nature, wild bees, wildlife | Permalink. It is a good job that a beekeeper found them!! rather than “following the dots” on a man-made frame. with the intention of doing a post about the occupants. I would call them feral honeybees…. Manuel is not a bee keeper! That is why he banged on the tree while I was taking close-up photographs! He knows nothing about bees but he is very kind and soft-hearted. I’m absolutely terribible with names…. So I presumed that, from his actions in covering the exposed hive, he was the bee keeper you know. Given that bees can often have dodgy tempers, I think he was very altruistic!!!! like a friend of mine…. you have a sirstifficate to prove you ARE sane!! Manuel usually acts first and thinks about it later. He felt sorry for the bees and that was enough to set him in action. That sounds like a once in a lifetime adventure. I’ve seen bees swarm twice and that’s pretty amazing too. You got some great shots of these. I didn’t dare to get too close to the swarms-they sounded angry. 🙂 A nice interlude in a very rainy day. Your cousin has the mega load of guide books borrowed from the library. This is a first, he is, I think, actually excited about our trip! I just installed 2 more mason bee houses, discovered at the local thrift (second hand) store. I hope we get lodgers. Last year’s boxes have quite a few inhabitants. It remains to be seen how many emerge. Ian repaired all the bird boxes and today I saw one being checked out. Spring is around the corner. Yeh! These are honeybees, I assume? Or do you get the Africanized ones there? What a delightful find! I wonder what the honey tastes like? What a fantastic experience, do you have the problems we have here in the UK with the effects on Bees through the aggressive use of chemicals on agricultural land? France is reputed to use a high amount of chemicals in its agriculture. I do not feel that new thoughts such as GM or green methods are well understood, in general. My bee keeper friend does not seem to have any problems with his bees although he is troubled with the Asian Hornet. It was a cool spring last year and he had to help bee keepers in cooler regions fulfil their customers orders. I think it would be very difficult to know without a proper study. How cool! I wonder if it could be boarded up somehow so they could stay there and be protected more. I must admit I was surprised at how well Manuel’s plastic tarpaulin worked. We have had more rain this year than anyone can remember and fields are flooded that no one has seen flooded. However, the bees were fine! However, it was also exceptionally mild so they could do with some insulation for a normal winter. I wonder if they will swarm and desert the damaged nest this spring? Just wondering – how do dissuade bees….?! Smoke! I’ve had to burn twigs and leaves on a tray on top of our cooker with the extractor fan on when they took a notion to the chimney we use for the extractor. They do not like smoke. Looks like gorgeous comb. It’s interesting to me to see the cavities bees naturally choose in the wild. I expect they would have preferred to be higher up away from the badgers, but perfect nest sites rarely exist. The thick oak wood must provide great insulation, so much thicker than the wood beekeepers use for their hives. Do you know what direction the entrance faces? That’s really interesting Amelia, I’ve never seen such a thing except on wildlife programmes in Africa! Do I understand you correctly that the bees were in the hollow tree before it came down in the storm, and the bees just stayed in the reduced space? That’s correct. 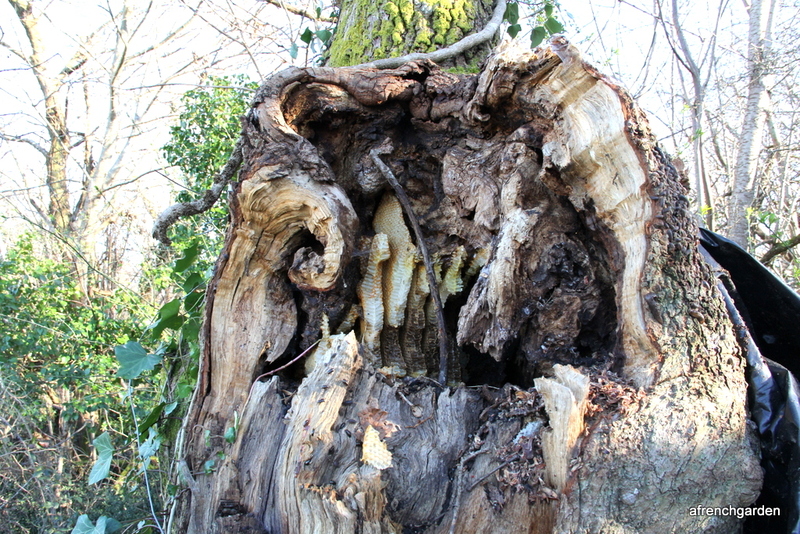 In true Winnie the Pooh fashion they had found a hollow oak tree. I’m not sure what they would have done if Manuel hadn’t made their space water tight. 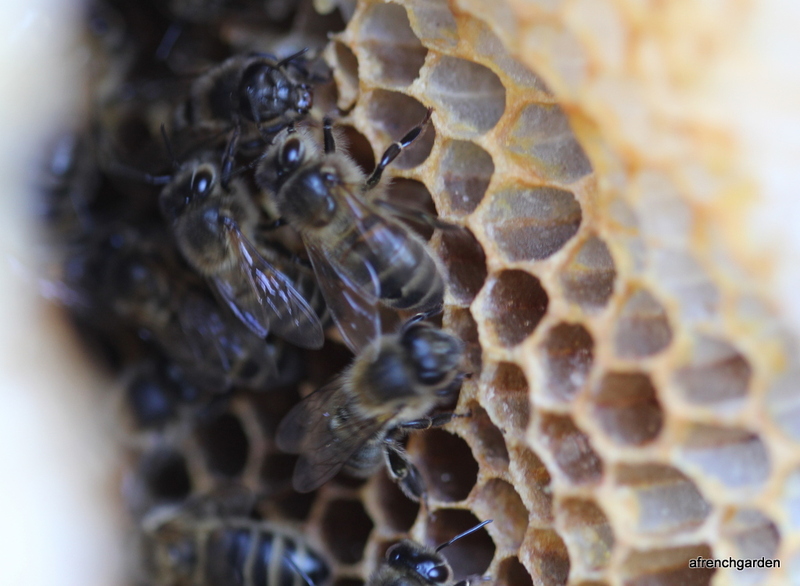 Fascinating, was there any evidence of Varroa? I took my photographs and retreated so I did not see any more than the pictures show. I’m not sure how to look for varroa in a sealed hole. I think a lot of bee keepers rely on the mites falling downwards and have a trap at the bottom where they can count them. Any ideas on how I can look? I don’t have a suit either. I just wondered if you could see any Varroa on your photos, I am certainly not suggesting you get any closer!. I have the impression that beekeepers can see mites on their bees (here is a link:http://beeinformed.org/2013/03/how-to-make-a-sugar-roll-jar/img_5750/). It would be good to get an opinion from an experienced beekeeper. I am interested in the disease question as this colony is prospering without human help and may, therefore,be dealing with bee diseases or be immune from them. I’m not so sure the mites are so easy to see. That is a fantastic photo to visualise the mite but I have a feeling that they can site themselves where you cannot see them. I will try and persuade my bee keeper friend to come and have a look. Any I saw were in good condition and they survived even after predators had depleted their reserves. 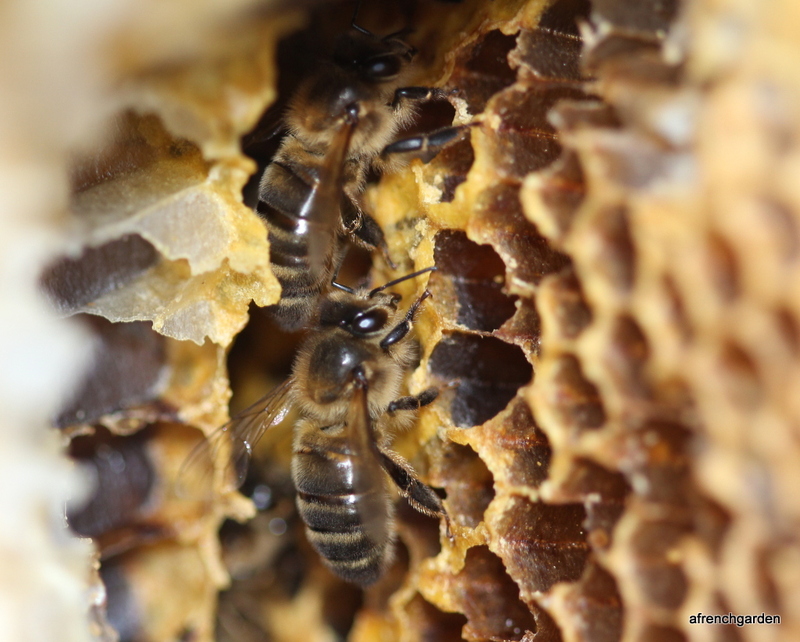 Varroa mites can be seen on the thorax of bees, but only if there is a bad infestation. If there is brood present in the colony most of the mites will be busy reproducing in the brood. In six years of beekeeping I have only once seen a mite on one of my bees. Thanks for that practical information, Emily. I’m still intending to revisit with my compass! Yes, thanks Emily, that answers my question. It’s all the more interesting that there are these “wild” colonies about. Yes. I know of one wild colony locally that has been in the same location for several years. 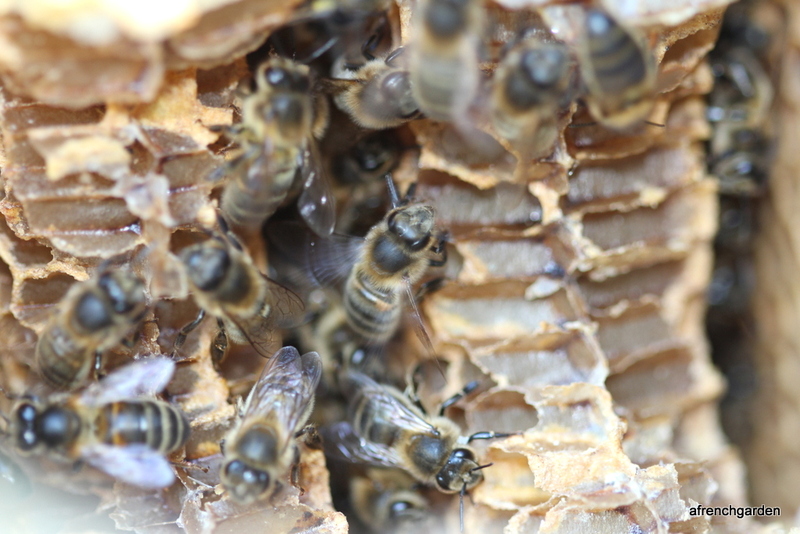 Although they receive no varroa treatments wild colonies may have the advantage of swarming often, whereas beekeepers often try to prevent swarms. 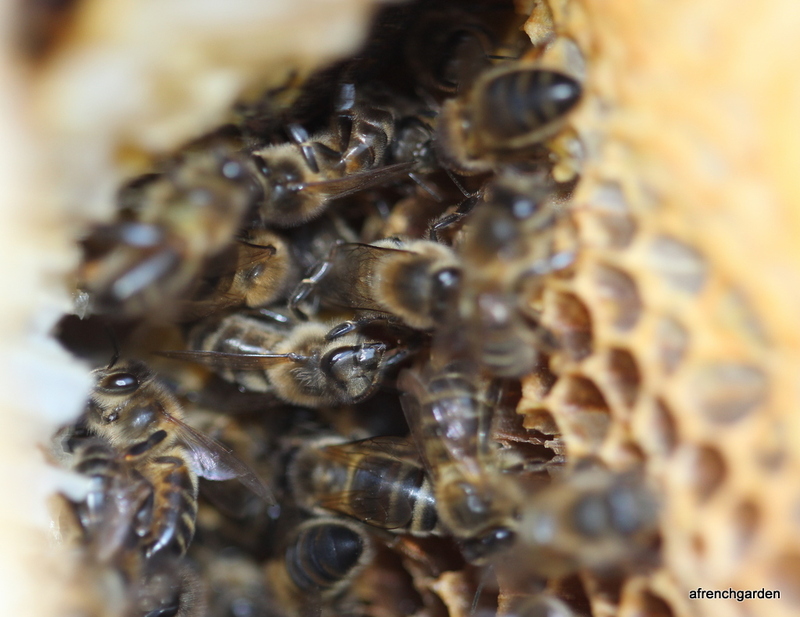 The break in brood rearing after a swarm also means a break in varroa reproducing. What a lovely quote! I hope there will always be enough wildness in the world to protect it. Congratulations on having a tree hive! My wife saw a nature video that showed African honey badgers tearing apart hives. It was suggested that that was a reason why the African bees became so defensive. Nothing could stop the honey badgers, “Masters of Mayhem.” Hope your badgers are not that fierce. I would think it would be difficult to find mites unless they are so numerous that they are riding on the backs of the bees. In this natural setting, it’s possible the bees can adapt to the mites. Those that drop off might be eaten by the wood lice, earwigs, ants, or other mites that will no doubt be present. I just love the idea of bees being able to survive without constant inspections and (mis)management. We have so much to learn. I like the idea of them surviving on their own. I think Manuel would like to fix up a more secure cover for them to mimic the part of the tree that the storm destroyed.